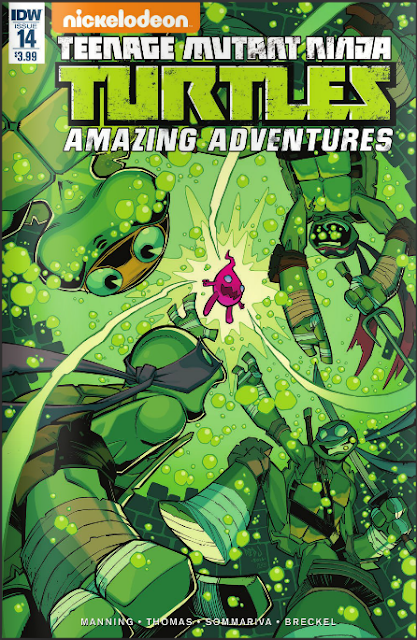 Out this week from IDW is the second half of my latest two-part Teenage Mutant Ninja: Amazing Adventures tale featuring the threat of our new mutant, the Drip. The lead story features art by Chad Thomas and colors by Heather Breckel. You can check out a preview for the issue here. 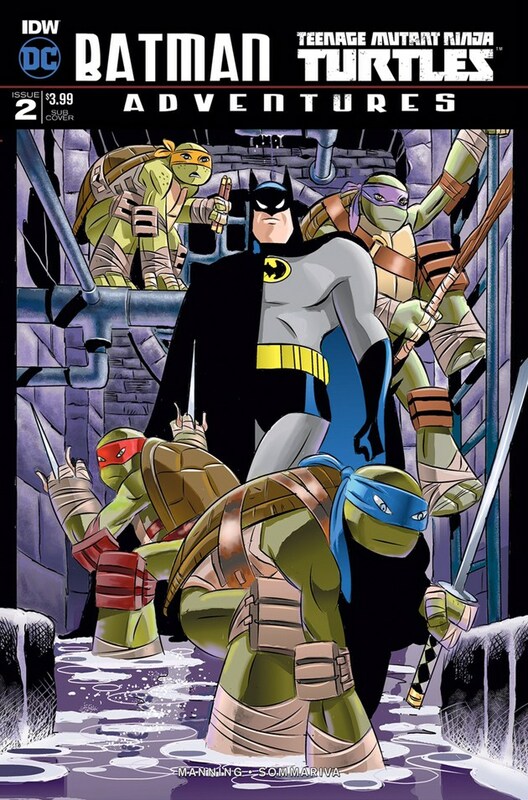 This is the last issue of Amazing Adventures for the time being, as IDW clears some room in their schedule for our five-part Batman/TMNT Adventures miniseries. Want a preview of that highly anticipated series? Well look no further than the back-up tale of this very issue. Also written by me, the second story of Teenage Mutant Ninja Turtles: Amazing Adventures # 14 features art by Jon Sommariva, who is currently busy drawing some awesome pages for our Batman crossover. Don't believe me? Take a look at his cover for issue # 2 below, as well as an equally impressive variant cover by the great Rick Burchett. See? I wasn't kidding. 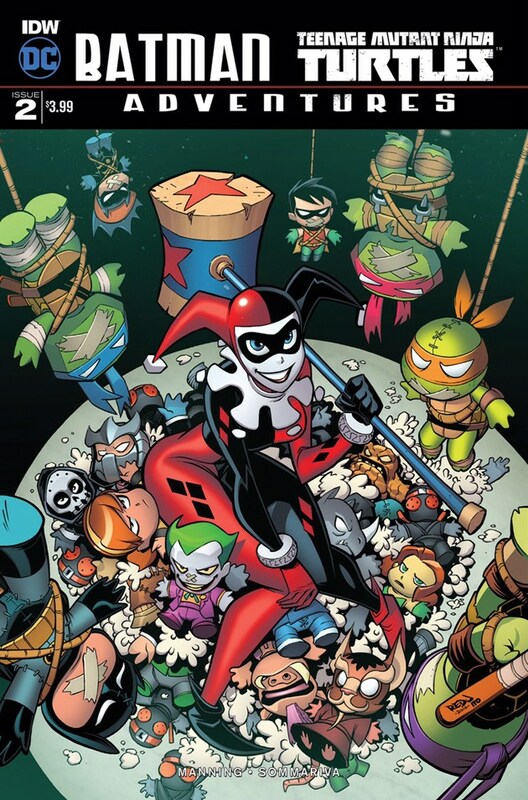 This comic is going to be great!